Bond No.9 samples There are 4 products. Bond No 9 Dubai Amethyst samples. 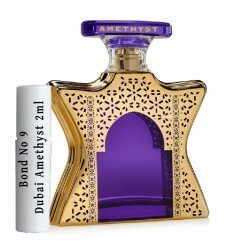 Bond No 9 Dubai Amethyst sample is in refillable atomizer which comes either in 2ml, 6ml or 12mls. Bond No9 Sutton Place samples. 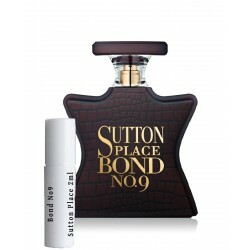 Bond No9 Sutton Place sample is in refillable atomizer which comes either in 2ml, 6ml or 12mls. Bond No.9 Dubai Jade samples. Bond No.9 Dubai Jade sample is in refillable atomizer which comes either in 2ml, 6ml or 12mls. Bond No 9 New York Chelsea Flowers samples. 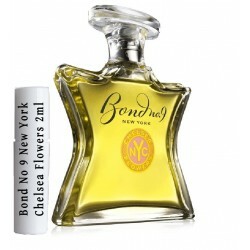 Bond No 9 New York Chelsea Flowers sample is in refillable atomizer which comes either in 2ml, 6ml or 12mls.